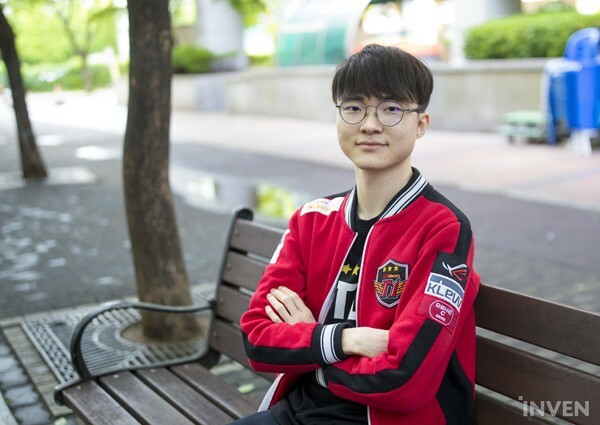 Faker: "Currently, I'm a midlaner ranked at about 4th... Honestly, I'm not confident enough, I'm not sure that I'll do well again"
A plain white tee, rather curt responses, and a simple lifestyle. 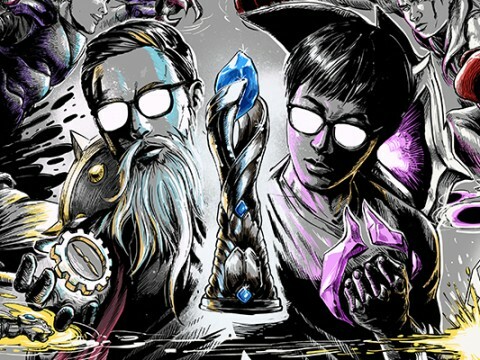 At a glance, there's nothing special about Faker. As a matter of fact, he's odd in a way that is hard to describe. But people cheer and scream for this man, who garners as much attention as any top star. He made himself famous through his extraordinary plays on stage. As a result, Faker lives a tiresome life. The burden that comes with his fame is a heavy one, a weight that can't be expressed in words, as that Faker himself put it. In one game, he is seen as the best player, but seemingly the next day, a "washed up" player. Fans worldwide constantly keep their eyes on Faker, simultaneously praising and criticizing him. Many people throw questions at Faker. "What kind of a person are you?" "Isn't it difficult holding and protecting the title of 'best player'?" 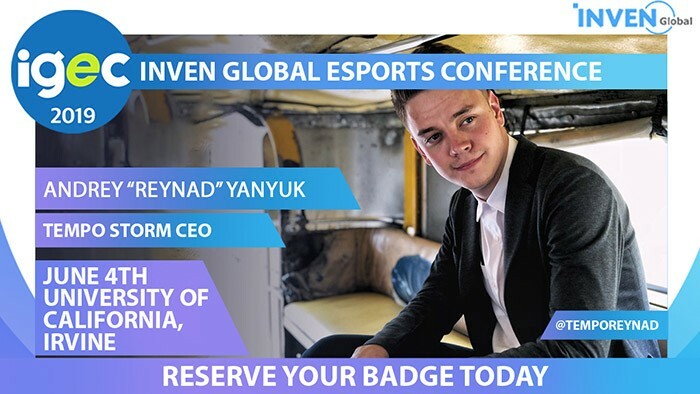 Even those who work within the esports scene hold such questions. Even one of the most simple subjects -- the emotions that Faker feels -- is a curious topic for many. Faker didn't give any rash answers during the interview, but instead took a fair amount of time to think about the questions before giving the answers. The spring season of 2018 wasn't the most heartwarming one for Faker. 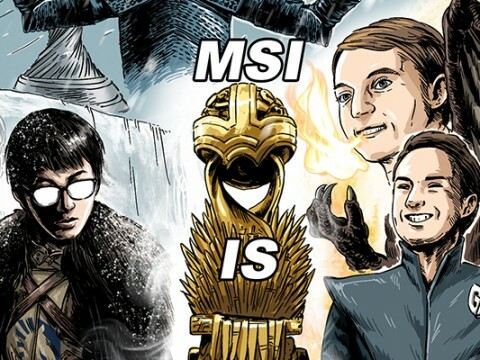 He placed far away from his usual standing, and he failed to qualify for MSI. It was a bit awkward, as I'm used to seeing this player at a stadium at this time of the year. I felt that Faker himself also found our meeting awkward, though he denied it. 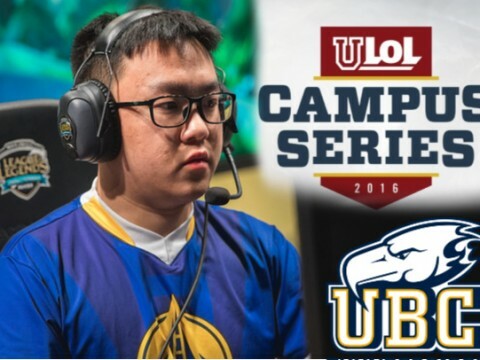 "I ended up not being able to compete in the MSI this year. So unlike last year, I've been preparing for the next split ahead of time. I also spent a lot of time thinking, alone, trying to figure out the best way to net success. It doesn't feel awkward that I'm in such a position at the moment -- but it doesn't feel great that another team is at the top. I guess you can say that it has affected my pride as a player. Everything was okay until Round 1 [of LCK Spring]... afterward, things turned sour. 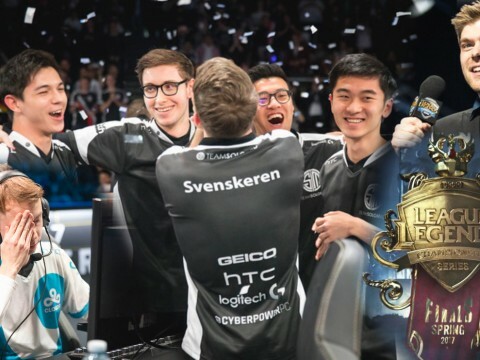 However, personally speaking, I learned a lot through the Spring Split -- instead of only focusing on in-game issues, I also paid attention to my psychological state -- it was a very valuable time for me. I'm now looking for ways to solve that and to see if I can maintain a good state of mind afterward." Many fans were worried about Faker and his performance during the Spring. They were in disbelief. 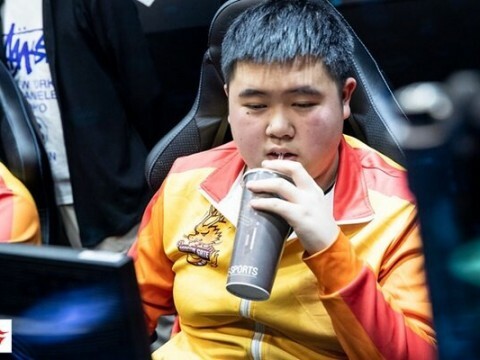 Instead of the world-class ace midlaner from last year, they witnessed a player frequently making the simplest of mistakes and dying while recalling. As Faker couldn't meet the fans' expectations, he received a lot of criticism. "I did a lot of personal feedback in regards to my failed recalls during Spring. While looking for the reasons "why" I had my recalls so frequently interrupted, I didn't come to the simple conclusion that I just channeled in a dangerous area. Instead, I looked at it from various points of view. Maybe, I wasn't paying enough attention to the game? If so, I should! I made multiple commitments to perform better in the future. Along with me, everyone on the team took turns underperforming, so I don't think the change in the roster is to blame here. I think the biggest problem was that we didn't have a laner with good carry potential. Everyone's problems collided into each other, forming one huge problem. I think that's why we underperformed." 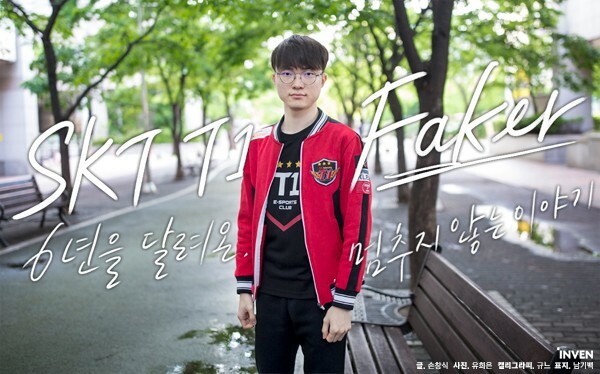 In the past, Faker considered criticism as a source of motivation. But it was different for him this time around. He seemed afraid that he'll come to believe the negative comments. 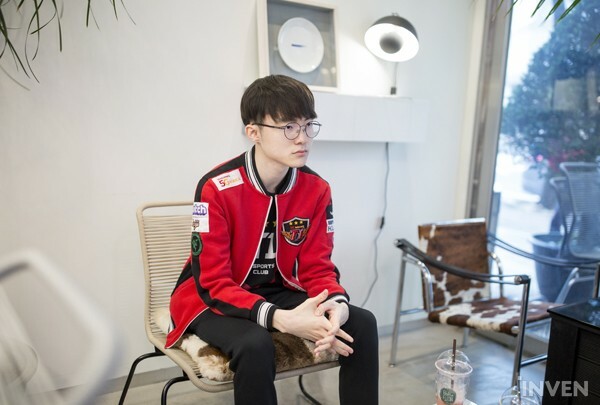 However, Faker is still the same, competitive player that wants nothing less than victory. 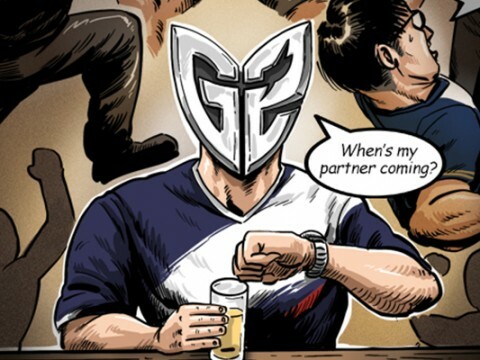 "These days, I stopped browsing the League community, because I find it unhelpful. In the past, reading comments taught and motivated me. But right now, in my current state, reading them may actually make me believe in what the people are saying. (Then where do you get your motivation from?) Everyone wants to do better than everybody else, so I don't go out of the way looking for a source of inspiration or motivation. Many people jump to conclusions, saying that the players who've won a lot of games lack motivation. For me, winning every single game is important, not just winning a title. That's why I'm constantly motivated to do my best. We had always prepared thoroughly until 2017. But starting this season, we prepared in a more loose manner, and we played like that on stage as well -- and... our results didn't turn out great. I think that's why our fans were concerned. Personally speaking, I think having made those changes to the way we practice and having experienced it helped us in some ways. You need to look ahead as a professional gamer and experience multiple things ahead of time. I did my best to not pay attention to negative comments, because as a player, you may come to believe them and lose confidence. Even if you end up reading those negative comments, and they seem true, you need to do your best to keep yourself positive and confident. Although we're in a worse state than 2014, I've experienced and overcome hardships before... so I'll need to do my absolute best for the remainder of this season, so we don't end up like we were in 2014." Through this short conversation, I found Faker to be a bit out of the ordinary. The way he thinks intrigued me. 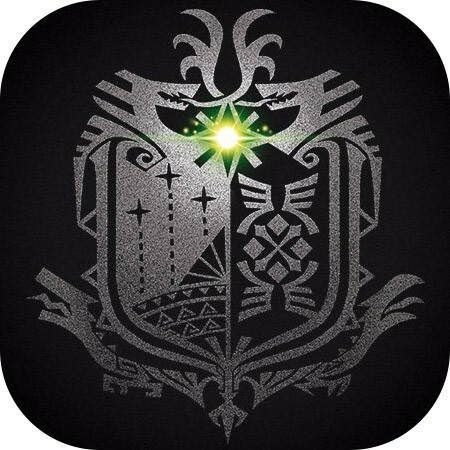 So I became more curious. I wanted to see the human side of him. Then, I was reminded of his tears during the 2017 World Championship. 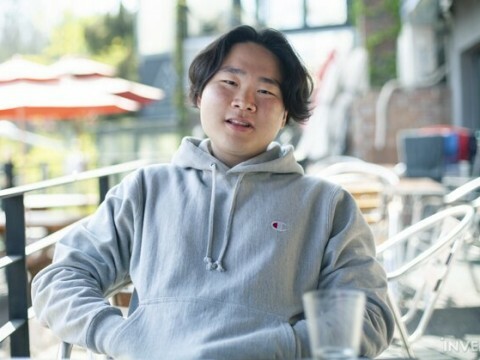 “Didn’t I cry last year [after SKT’s defeat at Worlds]? (Laughs) It was aired live… the notepad just turned on on its own. I didn’t turn it on to cover the defeat sign or anything like that [like some of the fans have assumed]. At that time, I was moved by the amount of support the fans gave me through SNS. But emotions are spontaneous, so I can’t seem to clearly express what I felt at that time. But that support really helped me. There was another subject that couldn’t be left out -- salary. 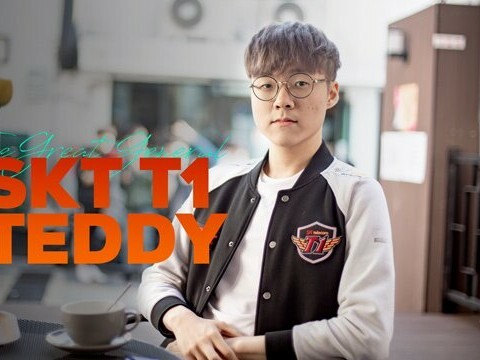 Talk surrounding Faker’s salary has been spreading throughout the media, so much so that it was once a topic of discussion in a Korean TV talk show. Also, although Faker makes bank in the millions, there were rumors that he receives a set amount of allowance from his parents. 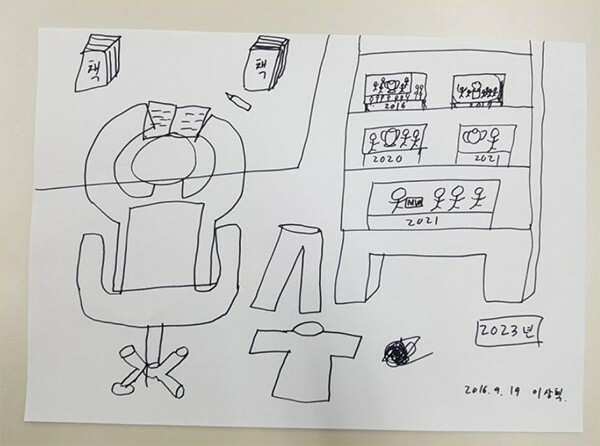 I was curious as to what Faker wanted to do with his money, and what he’s planning for the future. “I don’t receive allowance, I carry around a card; but I rarely spend any money. My parents take care of my finance for me. I’ll feel good if there’s a lot of money left in the bank when I retire, because I’ll need it for whatever I want to do in the future. Although I haven’t decided what I want to do in the future, I’ll continue to explore and find what I enjoy. Then, I will start planning my future. 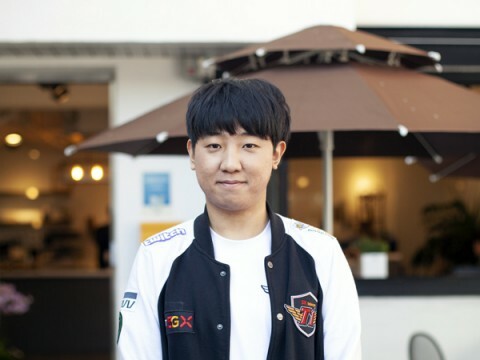 “Marriage… wouldn’t head coach kkOma get married first? 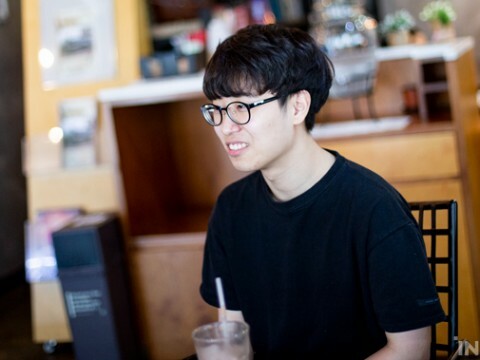 It’s not because I think kkOma would hurry up and marry, but because I think I’ll end up marrying when I’m a lot older. (Laughs) What do I look for in a woman? I’m 176cm tall, and I prefer women who are about equal in height. Faker’s overwhelming popularity isn’t only limited to Korea. He appeared on live television recently, and he had even met and stood side by side with a legendary soccer player, Ronaldo. 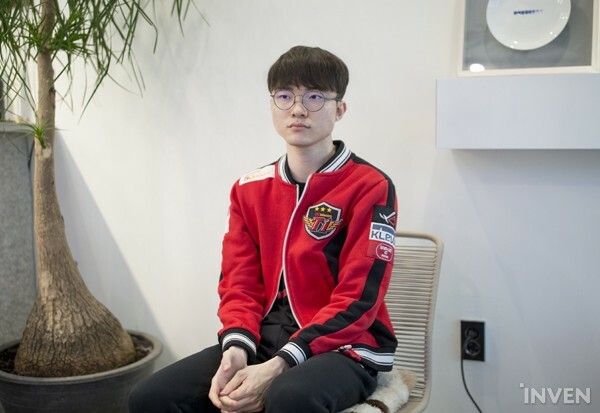 Faker spent almost all of his career in the spotlight, and I wanted to know how he feels about that. In addition, we talked about the upcoming Asian Games. 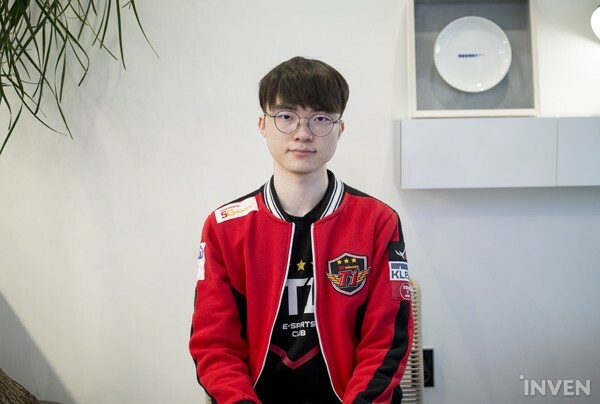 Before, Faker would have confidently said that he and his team would recover and climb back to the top. However, he paused for a moment and said that he wasn’t that confident, that he wasn’t sure. Furthermore, he said that he’s been feeling more pressure. We were curious about the weight that comes with the name “Faker”. “Normally, I don’t feel pressure that much, but this year, I felt a bit of pressure and burden. Such things appear when you want to keep up with others’ expectations. So I felt that going with the flow, playing my plays would be good for me. 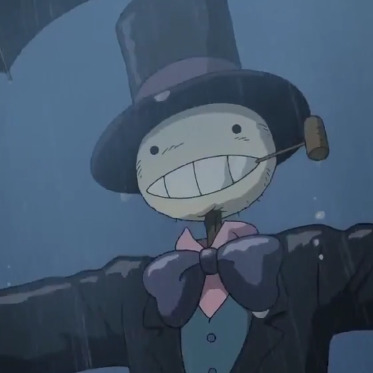 On the other hand, if I feel burdened by my personal everyday activities, it’s better for me as a person. I need to be a good person in others’ eyes. I think that makes my life straight and right. 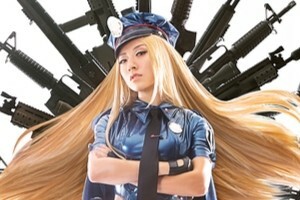 Currently, I’m a midlaner ranked about 4th. If it was 2014, I would have ranked myself as 1st regardless of the team's overall performance. But my individual performance in the last season was not good enough to put me at the top. Honestly, I’m not confident enough. I need to put in more effort again, but I’m not sure that I’ll do well again. It’s not that my mechanics got worse because of my age or anything, but my mentality isn’t like before. It’s kind of hard to say. When I was younger, I really had confidence in myself, but now, I tend to rate myself lower. (That sounds sad. Does that relate to your plan in any way? You left 2018-19 out.) I drew that ‘plan’ over a very short time without thinking much about it. I left out those years because I can’t always be a champion. It doesn’t mean that much. I really need to put in a lot of effort to get to my best, but I don’t really agree when people say that I’m a hard worker. Everybody puts their best effort into what they do. I’m at an age where I could be interested in other things and maybe want to look better. But I don’t have enough time to do so. I really want to get to this year’s Worlds. This was really insightful. Great job guys. I believe in you Faker. No matter what happened ,We are just here beside you and to support you. Dude...you are my hero...does not matter your team performed bad...i know you will get back stronger and stomp that mid lane again and bring trophy back home...you have to !!!..senpai! I've been underperforming lately, too, in my academics. I used to be at the top of my class but not anymore. Reading this has been inspiring. Faker, we'll get back up there. No worries. Let's work harder together!